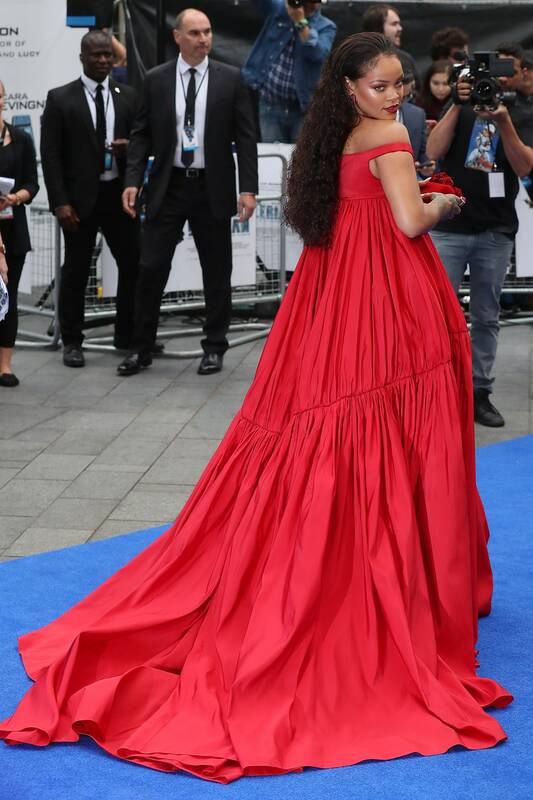 29-year-old Rihanna stepped out in a beautiful long red dress to attend the Valerian premiere on July 24, 2017 at Los Angeles. The outfit is by Giambattista Valli. The pop star looked so gorgeous.